Bima chairs are a standard fixture. 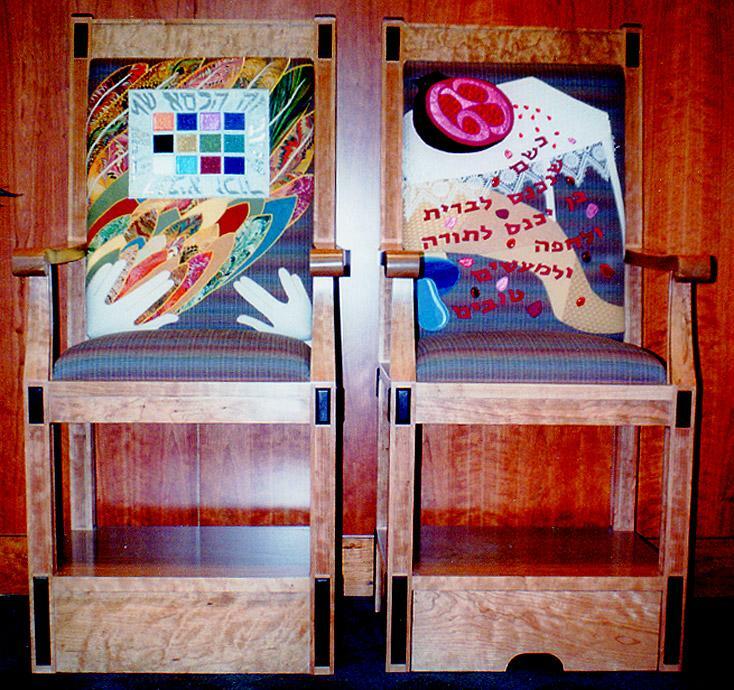 And when a bris (circumcision ceremony) is held in the synagogue, these chairs are used for the brit milah ceremony. This is the first mitzvah of a boy’s life, so let us celebrate the occasion by emphasizing it’s unique place in Judaism. In addition, these special chairs honor Elijah the prophet’s attendance at all brit milah ceremonies. These chairs will be an extraordinary addition to any bima, and can be enjoyed by everyone, all year long. We are located in Tucson, Arizona, where the local time in Tucson is 5:02 PM.